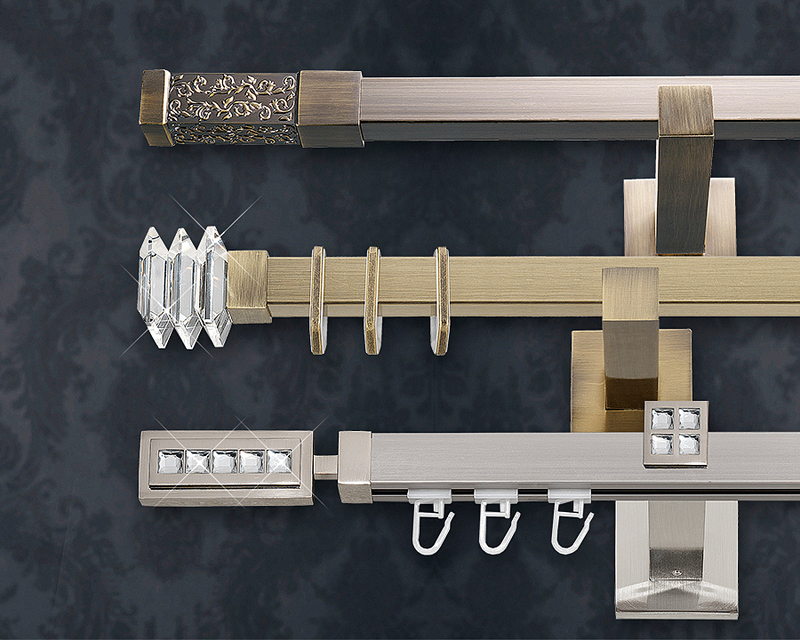 The presented metal curtain rods are a proposition for those who like to mix traditional and modern styles. It looks perfectly in eclectic interiors where modern forms interweave with stylish additions. All the curtain rods are available as elements on retail market, what allows everybody to compose their own individual curtain rods.